Aspire Indiana takes pride in helping underserved and vulnerable populations, including people facing mental health challenges, drug dependency, abuse, etc. One common problem these consumers have is getting where they need to go for help. Many do not have their own vehicles, a valid driver’s license, access to convenient public transit or someone who can drive them around. That’s where Aspire Transportation comes in — quite literally riding in to save the day. This department’s primary role is to transport Aspire Indiana clients to and from appointments at our offices and clinics, according to Aspire Indiana Controller David Wildman. This includes therapy appointments, group sessions, meetings with CC/LSIs and medical appointments, both psychiatric and primary care. The Transportation Department is also responsible for inter-company mail transport such as mail, packages, supplies and transport of medications from the pharmacy. In addition, the drivers are responsible for maintaining all fleet vehicles. The transportation team includes a total of nine drivers: three are based at Willowbrook, two at Carmel, three at Anderson and one mail carrier. transportation to our locations for services, and then taken home again afterward. Some of these are standing appointments such as group sessions. Other appointments are scheduled at least 24 hours in advance. This service is provided free of charge to Aspire Indiana consumers, giving them a dependable means of transportation to obtain the help they need. In total Aspire Transportation operates nearly 50 vehicles. Eight are operated by the Facilities team for maintenance of Aspire facilities. Another eight passengers cars are used primarily by staff for CC/LSIs in the transport of consumers. Currently there are seven minivans, 15 transport vans and 14 minibuses used in daily route transports and at group homes for the transport of residents. Wildman says Aspire Transportation is currently overhauling its fleet to retire out older vehicles, shifting to minivans as the primary vehicle for route and consumer transports, and vans toward use at group homes. Transporting people, medicine and materials around Central Indiana represents a logistical challenge, but one that is critical to Aspire Indiana’s mission of making health and well-being a reality for those it serves. Kellie J. Kelley has been appointed to the Aspire Indiana Affordable Housing Board of Directors. She has held numerous public health positions over the past 20 years, and is currently Executive Director of Habitat for Humanity of Madison County. Aspire offers housing and assistance to hundreds of disadvantaged people who need safe, affordable housing across Central Indiana. 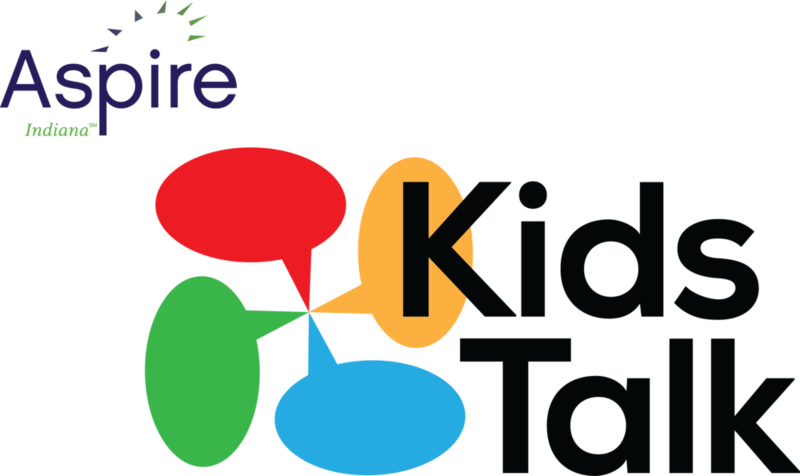 Kroger and Pay-Less Supermarkets will make a donation to Kids Talk for every dollar you spend! 3) Shop! When you use your loyalty card, Kroger or Pay-Less will make a contribution to Kids Talk based on how much you spend on groceries.